The Irish Ambassador to the UK Adrian O Neill addresses and clarifies the Common Travel Area between GB and Ireland. No matter what happens in the Brexit negotiations, Irish citizens in the UK and British citizens in Ireland will continue to have access to their CTA rights. This has been affirmed by both Governments. Recent weeks have seen an increasing focus on the Common Travel Area, an agreement where Irish citizens in Britain and British citizens in Ireland can live, work, study freely since before both countries joined the EU. Here’s Ambassador Adrian O Neill’s letter to the Irish World updating citizens. 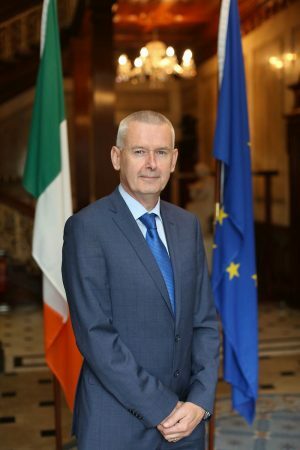 I want to firstly assure your readers that intensive work is ongoing both with the UK Government and across Government Departments in Ireland to ensure that the necessary arrangements are made in both countries so that the CTA continues to function effectively after the UK leaves the EU – in all circumstances. No matter what happens in the Brexit negotiations, Irish citizens in the UK and British citizens in Ireland will continue to have access to their CTA rights. This has been affirmed by both Governments and has been specifically provided for by the UK Government in their “no deal” planning notices. I know the UK’s proposed Settled Status scheme for EU citizens has been the source of considerable interest and perhaps confusion within the Irish community. The UK Home Office has already indicated that Irish citizens will not need to register or take any action under the Settled Status scheme (relevant UK Home Office link: https://www.gov.uk/settled-status-eu-citizens-families). They will continue to hold their CTA rights which are not reliant on EU membership. However, as EU citizens, Irish citizens – if they so wish – will be able to apply under the Settled Status scheme when it is open for applications.